WARNING: THIS POST CONTAINS IMAGES OF MY PLACENTA. SOME OF THE LINKS IN THE POST CONTAIN FURTHER PLACENTA IMAGES. IF YOU DON’T WANT TO SEE THAT, CLICK AWAY NOW. Why would anyone want to see their placenta, let alone eat it? This same thought crossed my mind when my doula first mentioned placenta encapsulation to me several months ago. Beth from Red and Honey, a blogger whom I respect vey much, wrote a post a while back detailing the history and medical use of the placenta. I am not going to take the time to delve deeply into that, so read her post if you want more information regarding the why. 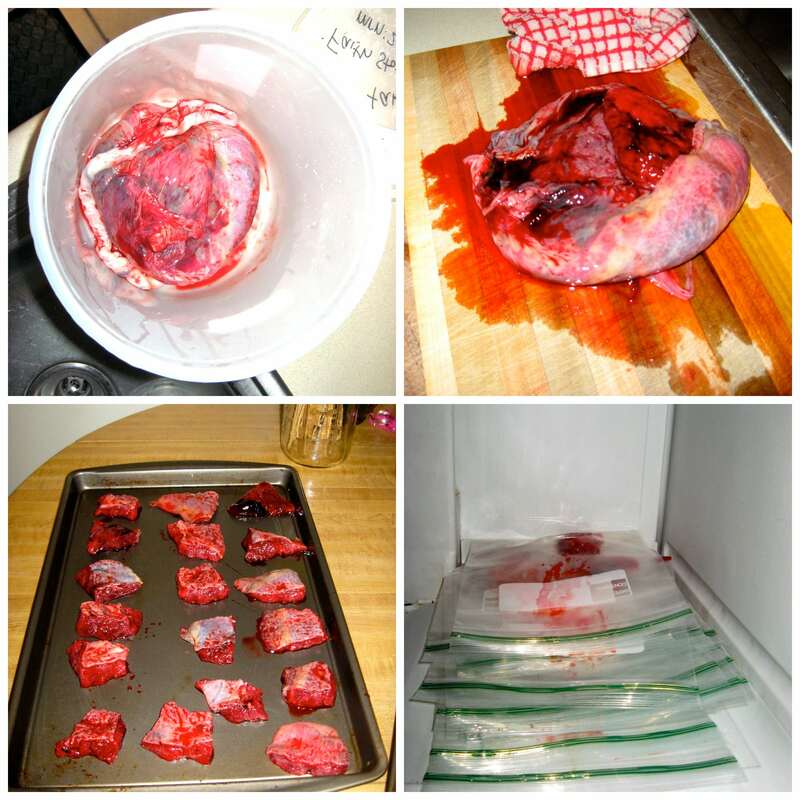 There are several methods for preparing the placenta ranging from lasagna or roast to simply encapsulating it into pills. I had intended on encapsulating my placenta, however, circumstances at the time of my daughter’s birth prevented us from being able to do that, so my husband and I prepared it at home for use in smoothies. If you would like to see an at home tutorial for encapsulating your placenta, click here. There are several components of the placenta that make it beneficial to the postpartum woman’s body. The following is a list from Placenta Bakery that shows what is in the placenta and why that is helpful to the body. Rinse the placenta under warm water. Remove the membranes and discard. Chop the meat of the placenta into small chunks. Place on a cookie sheet and flash freeze. Remove from cookie sheet and place in zippered baggies. Store in freezer and add a chunk or two to a smoothie during your postpartum recovery weeks. Have you done anything with your placenta? If you consumed it, what benefits did you see from doing so? Congrats to you on being able to do this! 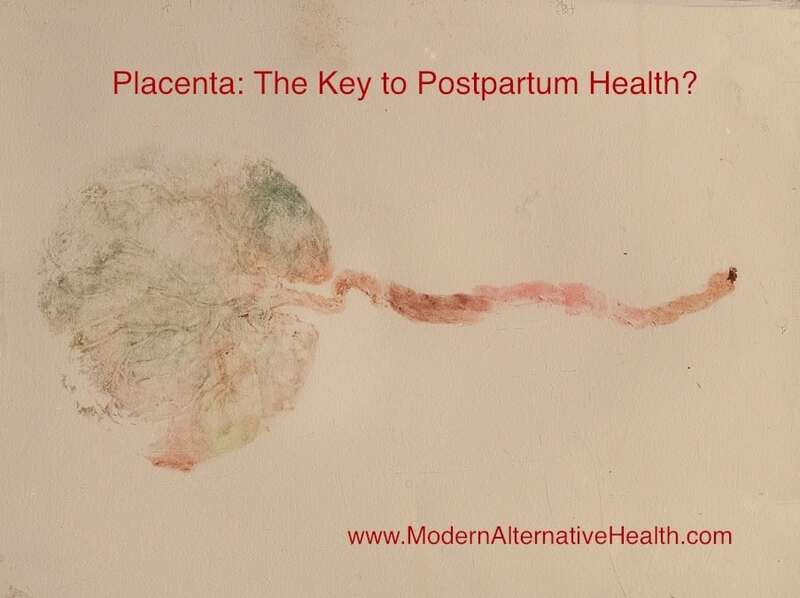 I totally agree with the health benefits of consuming placenta postpartum…but I wouldn’t be able to prepare it myself…or even it it in a smoothy someone else prepared! I’d have to have it encapsulated by someone else! If we are blessed with another child I will be looking into someplace locally that will encapsulate it for me. I had my placenta encapsulated with my last baby (blessing number 4). This has been the only postpartum time I have not suffered with a degree of postpartum depression and my body healed so much more quickly. During the first 6 weeks, it was completely apparent on the days I forgot to take them. I am now 10 weeks postpartum and although I am not taking my “happy pills” daily, I do have a good supply for those days when the dark cloud tries to roll in. It has been a tremendous blessing, and if we are blessed with more children I will absolutely do it again. I knew women encapsulated them but never dreamed of smoothies. I guess it’s true – you can turn anything into a frozen treat. But seriously, if we have more placenta encapsulation/consumption is something I will be researching. Did you do any research on the other end of the “controversy” around this? I encapsulated both mine but recently have been hearing some Biblical arguments against it and I am looking for more resources to learn more and decide. I know you are well read so I’d love to hear more of your thoughts on it. I, too, would love to hear more about the Biblical side of this, as my midwife is against consuming your placenta since it’s part of a human body. My husband just thinks its gross : ) I’m planning on researching it further before deciding either way, but I only have 7 weeks left, so I’m hoping somebody’s already done the research! These verses were a warning from the prophets to the Israelites which came true during the siege of Samaria during the reign of King Jehoram. You can read about this in 2 Kings 6:28-29. The Israelites were cannibalizing their own children from fear and hunger. This was happening because of their spiritual rejection of God and unwillingness to trust Him. I understand that some people may be uncomfortable with eating the placenta but I have no patience for those who try to scare or judge others that are comfortable. Besides their cannibalism argument, which I do not personally hold applicable, I do not see anything else in the bible that would go against it. Jesus came to abolish the rules and the only one that can judge your heart is God. If you are struggling with this decision I would suggest you pray about it and ask the Lord to guide you. There are some great articles out there about this topic, so just do a google search about placenta encapsulation/placenta cannibalism and see what you find. Also – Faith linked to an awesome article at the very beginning of this post that I found very helpful. Hope you find the answers you are seeking and that above all you have a healthy baby! Did you thaw the pieces before putting them in the smoothie? I imagine it being difficult to blend.